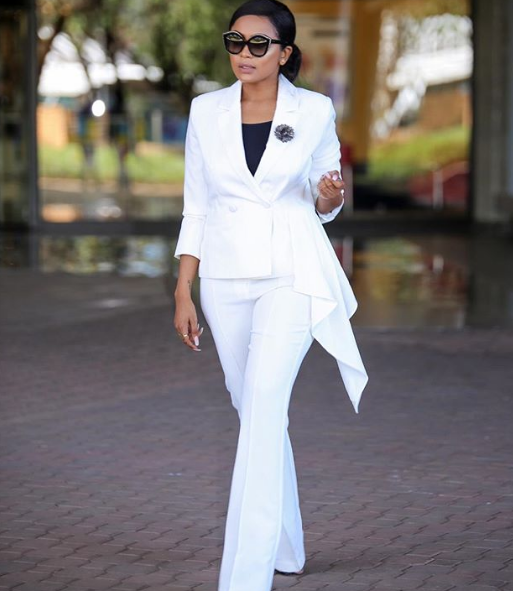 12 TIMES LERATO KGANYAGO ROCKED A SUIT! uBabes wama suits seriously knows how to slay. TV Presenter, Radio host and Club DJ Lerato Kganyago is one of South Africa's style stars. This woman has a great sense of style that probably took some time to build. She's classy and trendy and the one thing she rocks that are so unique in the entertainment industry are her suits. Female suits are such a powerful fashion statement. We usually only see suits in the corporate world, but wanting to wear them in your everyday wear is quite easy. Dress it down or dress it up, it really is up to you. See pictures below for some inspiration of Lerato rocking suits. Out and about on a Thursday! ?? O Babes Wama Suit! ?? "Start each day with a grateful heart" - #TangerineTrending?? Mother!!! End the day with a smoothie!!! ? ?